Local focus: Patel says IBM has always focused on domestic market. Bangalore: Earlier this year when IBM Corp. was looking to win an SAP (business software) implementation project from ThyssenKrupp AG in the US, it turned to its Indian arm for help. The SAP implementation experts at IBM India pitched in with a steel industry “template", having worked on a similar project for Jindal Vijayanagar Steel Ltd, which eventually helped the company land the Thyssen project. Increasingly, IBM India says it is relying on such an “asset-based" model not just in steel but other sectors such as telecom, oil and gas, retail, pharma, construction and other areas, to retain its market leadership in the domestic IT (information technology) services industry. The domestic Indian IT services market has been one of the few bright spots in a global technology landscape hit by spending cuts. The Indian domestic services market which was worth $5.7 billion (Rs26,619 today) in 2008 will be worth close to $6.5 billion this year, according to Sudip Saha, senior analyst, services research, Springboard Research. IBM is the market leader with a 10.8% market share, raking in at least $700 million in revenue from the Indian services market alone. However, as Indian IT companies such as Tata Consultancy Services Ltd, Infosys Technologies Ltd and Wipro Ltd increasingly focus on the domestic market opportunity, IBM says its asset-based model will help to retain and enhance its market leadership. “We never saw India just as a resource base," says Sandip Patel, managing partner, global services, IBM India and South Asia. “While we have a delivery centre which caters to our global customers, we have always invested for the local market." 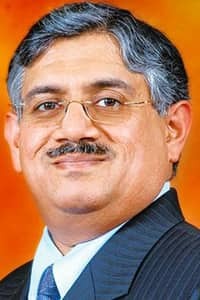 Pointing out that unlike some of the Indian IT players who discovered the virtues of the domestic market only after the global tech slowdown, Patel says IBM has always tried to grow the local market. “In the Indian market there is no labour arbitrage. IBM does not play the L1 game (L1 refers to the lowest quote in response to tenders). Our strength is derived from the asset-based value model which we bring to the customer." Elaborating on the asset-based model, Patel says it involves building expertise in specific industries, creating solutions for them and doing it in a way where with each implementation, the cost of delivery goes down and value of delivery, up. “This is based on IP (intellectual property) captured through a template rather than the labour arbitrage model used by our competitors." Saha of Springboard says it is this ability to deliver productized service offerings that gives IBM an edge in the marketplace. “IBM’s integrated portfolio of hardware, software and services which is delivered seamlessly gives customers one throat to choke," he says. “That gives him a level of comfort whereas multiple vendors often tend to pass the buck onto others in terms of deliverables." Patel says the asset-based model is helping it to increasingly target small and medium-sized business customers in smaller cities across the country through a pay-per-user kind of strategy. “The model involves little upfront investments for our customers, even as it helps improve our margins because of our asset-based model." IBM provides outsourced services to several firms in India, including Bharti Airtel Ltd, Vodafone Essar Ltd, Idea Cellular Ltd, Amul, Max New York Life, Hindustan Petroleum Corp. Ltd and DLF Ltd. While IBM does not provide country specific revenues, technology magazine Dataquest estimates that in 2008-09, IBM India had revenue of Rs12,048 crore of which Rs5,783 crore came from the domestic market, including hardware, software and services.